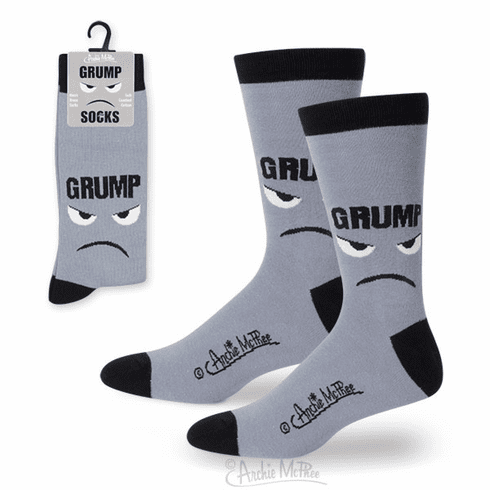 This pair of gray socks is the perfect present for your favorite grump. Lets the world know that you arenêt exactly in the best mood today. They are a soft combed cotton blend and fit menês shoe size 7-12. Illustrated header.